Posted March 16, 2017 by Josette Farrell in News. 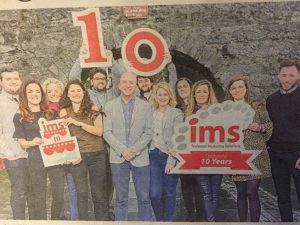 Locally grown marketing agency, IMS Marketing, is this month celebrating ten successful years in business. 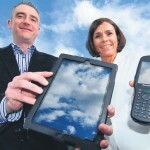 Set up in Spring 2007 by Claregalway native, Kevin Moran, the company has seen substantial growth since its inception, doubling its workforce to 12 in the past 18 months. 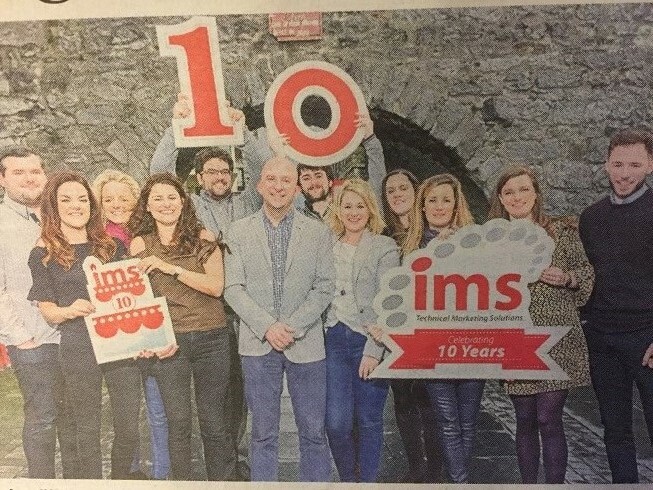 In the past two years IMS Marketing has been responsible for the implementation of marketing programmes for companies in over 16 countries throughout the world. In February 2016, the company relocated from Claregalway to a new custom-designed headquarters in Howley Square, Oranmore and has since added six new members to the team with a further three planned hires before the end of 2017. 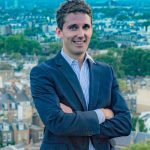 “There is no other agency in Ireland that has the experience to work with companies of a technical nature developing their business nationally and internationally that we have gained. We understand these companies and furthermore understand their customers and what they weant. This enables us to deliver a marketing strategy that delivers real results,” explained Kevin.